We are offering A4 Color Paper to our clients. Tiziano coloured paper is made of high percentage mix of premium cotton and high quality cellulose. It is acid free and archival. The paper has an internal and external sizing and the colours are very lightfast. The soft surface grain is obtained thanks to special felts making it ideal for pastel, charcoal, graphite, pencil, sanguine and gouache. Available in Blocks. We are one of the prominent Suppliers of a wide range of Multi Color Wove Paper. These are available in different colors and thickness. We are accolade among our customers for the excellent quality and smooth surface of Multi Color Wove Paper. Our clients can avail from us Multi Color Wove Paper at affordable prices. 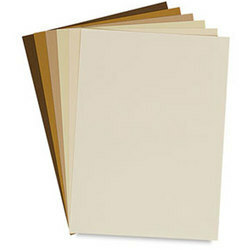 We are engaged to offer wide range of Colored Chart Paper. These Colored Chart Paper are highly acknowledged among our customers due to their superior quality and tear strength. These Colored Chart Paper are available at leading market prices. 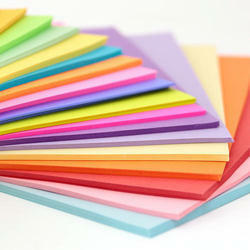 We are offering wide range of Color Paper . We provide a wide range of Colored Papers to our customers.